The Invacare Rea Azalea wheelchair is the perfect choice for both active and not so active people due to its versatility, comfort and design. 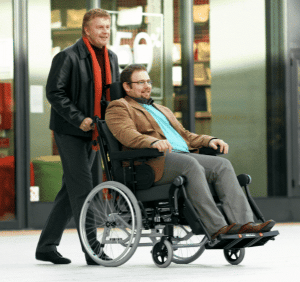 The Rea Azalea is available as a transit wheelchair with small rear wheels for propulsion by an attendant and also with large rear wheels allowing the client to independently self-propel the wheelchair. A recline and tilt seating design unique to the Rea Azalea wheelchair will allow you to easily adjust the seating position to ensure you are perfectly comfortable at all times. In order to accommodate a wide range of customer needs and body shapes the Flex 3 backrest is highly adjustable in height, width and also shape, and to ensure the client with the best fit, the Azalea offers individual size adjustments to improve posture. In addition to the popular width and depth adjustment of the seat area, we also offer the same adjustment on the backrest. This provides a unique combination for postural support and comfort as the adjustments are independent of one another. Market leaders Invacare have developed the Rea Passive chair range to ensure a perfect fit and compatibility for a variety of customers. each Rea Azalea wheelchair is highly and quickly adjustable to suit individuals needs and requirements and all the chairs come with the Invacare Dual Stability System® (DSS). 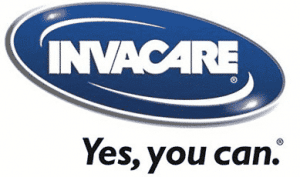 The Azalea Base wheelchair is designed for people seeking a well-made wheelchair with a custom-made seat that you would come to expect from Invacare. Adapted from the standard Rea Azalea model the Rea Azalea Base has all the benefits and advantages such as the special weight shifting system. The Rea Azalea Base model also has the ‘Tilt in Space’ function that ensures stability for the user when the chair is tilted. You can download more product information here. With a smaller sized seat, the Rea Azalea Minor has been designed for teenagers and petite adults. As with all Azalea models the width and depth can be adjusted to suit individual requirements and with the Azalea minor, there is the ‘Tilt in Space’ mechanism that ensures manoeuvring is made easier and stability when titled. 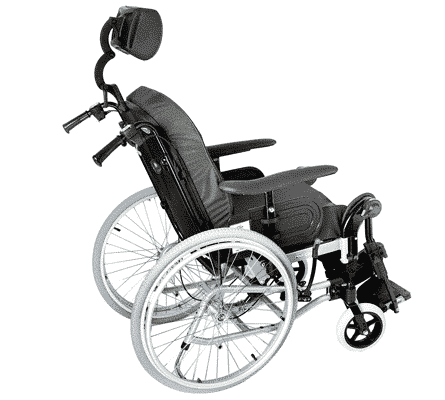 The Azalea Minor is ideal for users that require a solid stable wheelchair. 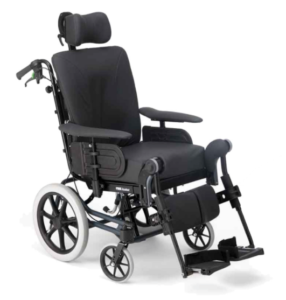 The Azalea Minor wheelchair is available in pearl grey or azurite blue frame colours and tension adjustable backrest option. You can download more product information here. 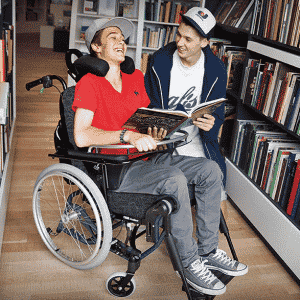 The Rea Azalea Tall wheelchair has been specifically made to meet the needs of tall individuals who require a tilt-in-space wheelchair with a longer seat support. 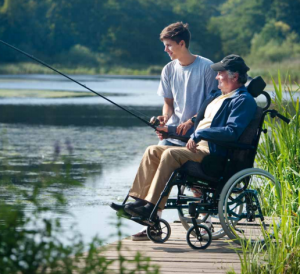 Adapted from the Rea Azalea, the Rea Azalea Tall incorporates all of the advantages of a reliable, tilting wheelchair and offers a unique weight-shifting mechanism. The Rea Azalea Tall offers ultimate comfort and stability for tall people needing a wheelchair. You can download more product information here. The Rea Azalea Max wheelchair is designed to meet the particular needs of people with extra weight. 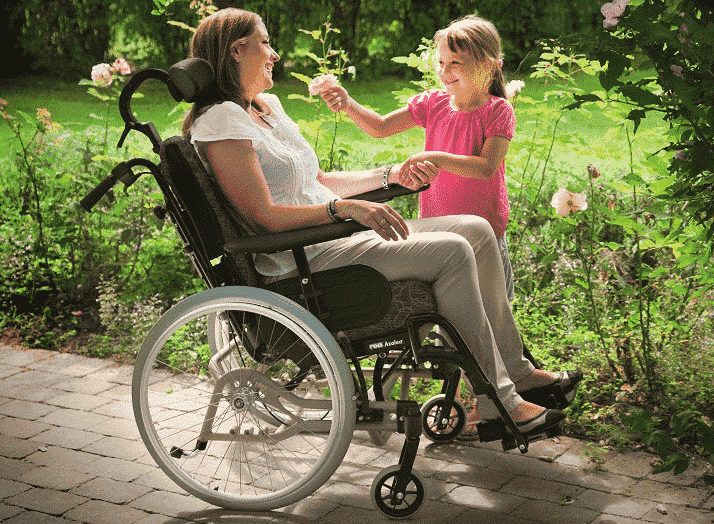 The Azalea Max is a niche product which complements the existing Azalea family range from Invacare. The Azalea Max is available in Pearl Grey or Azurite Blue frame colours. The stability in the Azalea Max originates from body length compensation in the back and leg rests, beneficial for people with limited movement and have difficulty changing position. You can download more product information here. The Rea Azalea boasts a multitude of seating options in either the self-propel or transit wheelchair models making it an excellent choice when choosing a passive wheelchair. The revolutionary Flex 3 backrest is multi-adjustable in shape, width and height, in order to accommodate a wide range of body shapes. The frame is available in pearl grey and azurite blue and two material options. The Invacare® Rea™ Azalea® is a “tilt in space” passive wheelchair that ensures comfortable seating and enhanced postural support. 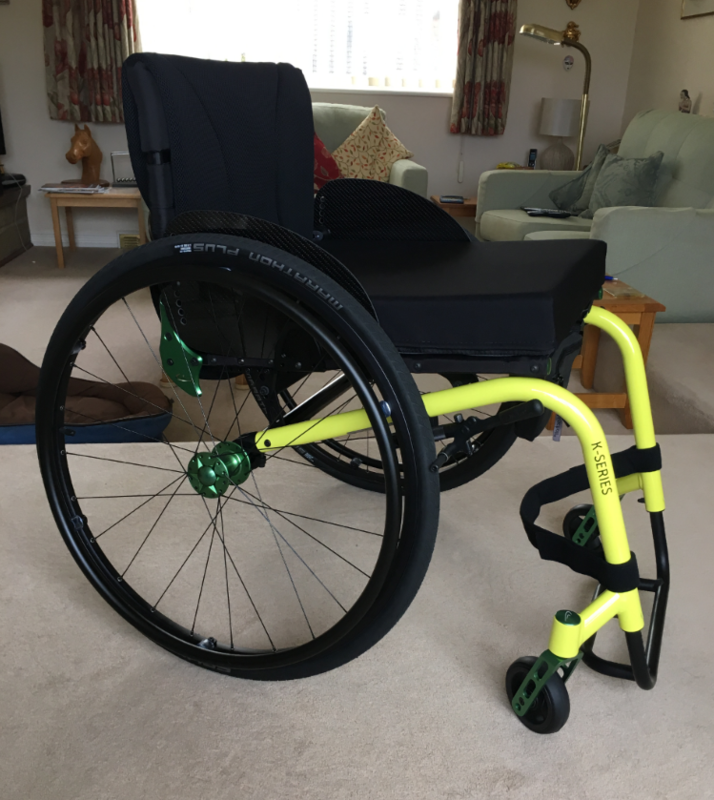 The wheelchair is based on a single frame that can accommodate the three rear wheel sizes in different settings making it suitable for passive or moderately active clients. 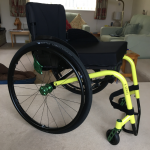 If you would like to know more about the Rea Azalea wheelchair range or any other wheelchairs we have on offer then please contact us today and speak to one of our expert advisors at Easy Mobility Services. We will be able to answer any questions you have and help you find the right wheelchair for you. Alternatively feel free to call into one of our mobility shops in Essex to browse our extensive range of wheelchairs and powerchairs.